The island of Sri Lanka makes for a pretty excellent vacation spot. And a bulk of excitement of a Sri Lankan vacation is taken up by the innumerable and beautiful beaches that adorn the great island nation. Beaches here are full of pristine white sand stretched for miles and miles, with beautiful blue water splashing in waves of all sizes. Sri Lanka tourism has gained popularity and it is these beaches that can rightfully take credit for it. So let’s go ahead and have a look at the seven best beaches of Sri Lanka. 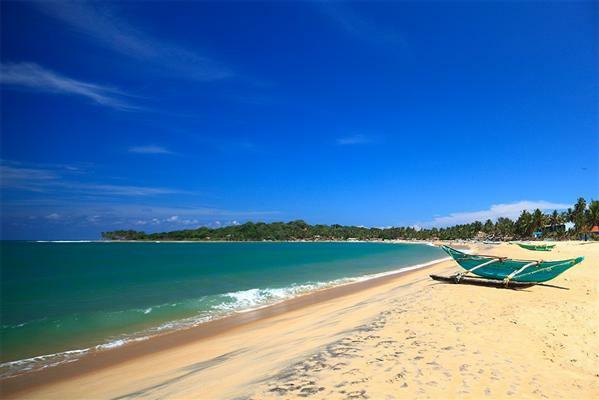 Quite simply, Bentota is one of the most popular beaches in Sri Lanka. And also the most pretty. Filled with fine sand that feels soft to your feet as you go for a walk, and lined with neat palm trees, Bentota and Beruwala beach feature amazingly clear and shallow water which makes it safer for regular tourists to take a dip. Snorkeling, diving, river rafting, crocodile and bird spotting, visiting Masjid-al-abrar mosque. Book one of our Sri Lanka tour packages and indulge in the pristine beaches of Sri Lanka. The southernmost beach in Sri Lanka, Mirissa is known for its picturesque vistas and colourful sunsets. 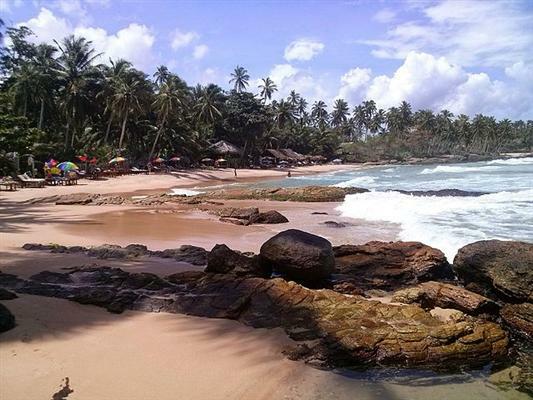 If you want to go to a beach that is less crowded and touristy, then Mirissa is your best choice. 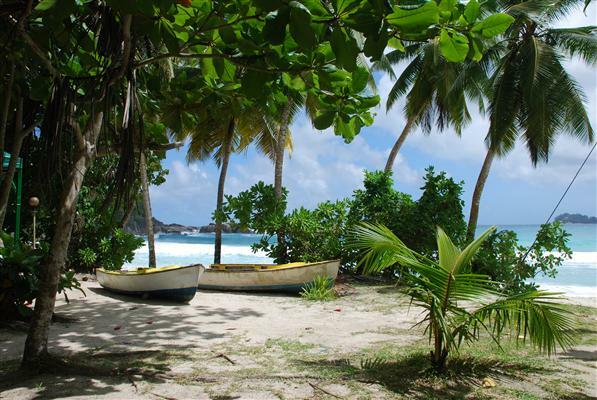 This beach offers a very calm and serene atmosphere so that you can have a relaxing time and detoxify on your vacation. 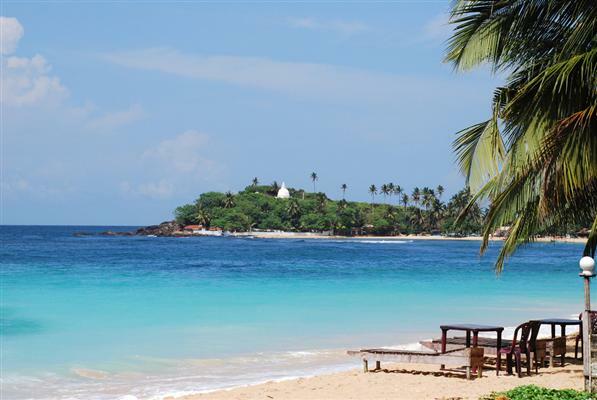 Mirissa is one of the best beaches of Sri Lanka if you’re looking for some quiet time. Yala beach is best known for its dangerous waters and swimming is strictly prohibited here. But you can still take a relaxing walk over the sandy beach and witness the gushing waves from a distance. But the highlight of your holidays in Sri Lanka will be the wildlife safari at Yala National Park, which is adjacent to Yala beach. You can witness leopards, elephants and crocodiles on the safari. If you’re really wary of crowds and simply want to enjoy the sound of waves lashing against the beach, then give Tangalle Beach a go. 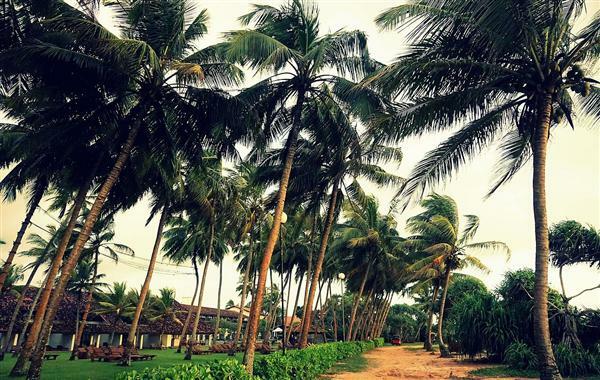 Tangalle is not your regular Sri Lankan beach. It has very few resorts and is not very easy to reach. But once you make your way there, it is nothing short of a paradise. If there is one beach that takes the prize for being one of the best beaches of Sri Lanka, then that would be Unawatuna Beach. 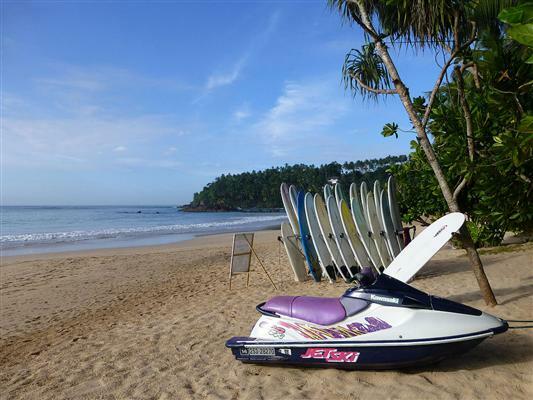 Even though it is popular and almost always crowded, Unawatuna Beach is still quite an enjoyable affair because there is no real hustle-bustle despite the crowd. It has its own pace and it is lined by some wonderful restaurants and bars. If you are the kind that enjoys beach parties, pub and clubs, then Hikkaduwa beach is highly recommended. It is a haven for party animals with its excellent collection of bars and pubs. The beach also allows for some excellent snorkelling sessions. Located about 100 kilometres from Colombo, Hikkaduwa beach is one of the most popular of all Sri Lanka beaches. 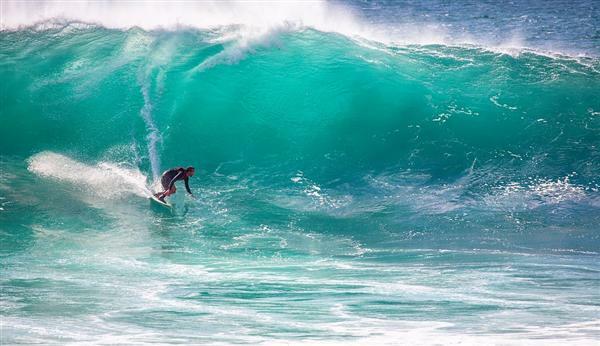 Arugam Bay is a world-renowned surfing beach which is so popular among surfers that they travel from all over the world when its surfing season in Sri Lanka. Arugam bay is, without a doubt, one of the best beaches in Sri Lanka as far as surfing is concerned. But there’s other stuff too. The beach has some great restaurants and cafes that one can relax in. So there you have it. These seven beaches are some of the best beaches of Sri Lanka. 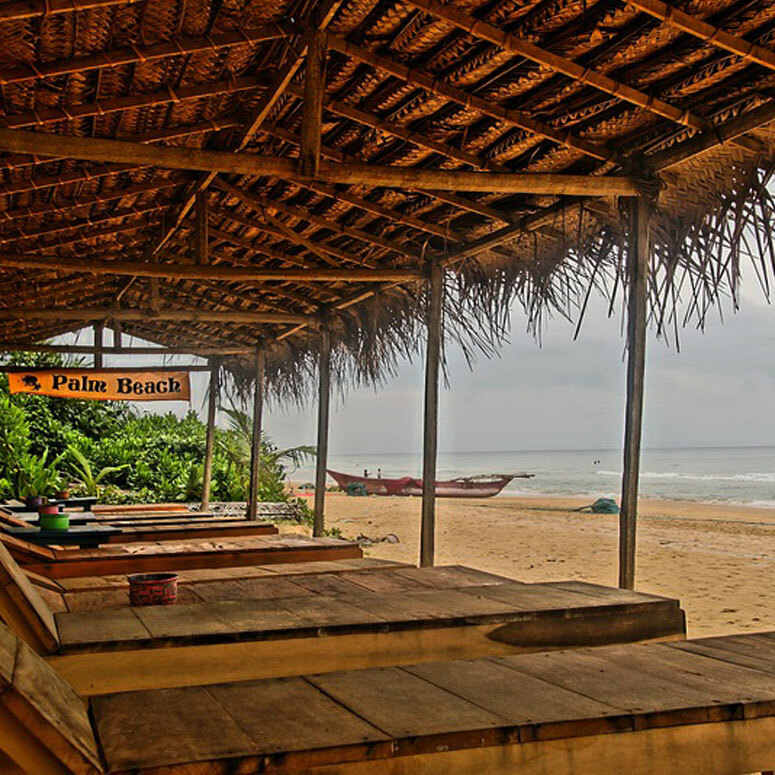 So make your Sri Lankan vacation count by including these beaches in your itinerary. Book your tickets and get ready to surf, snorkel or simply lie on your back in the soft sand while the paradise island of Sri Lanka awaits you. Our Sri Lanka holiday packages allow you to have an amazing holiday in Sri Lanka. Sri Lanka tourism has gained popularity due its pristine beaches. So let’s go ahead and have a look at the seven best beaches of Sri Lanka.